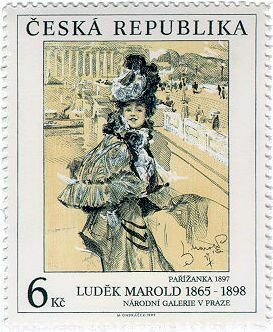 在布拉格買的美麗郵票, 紀念十九世紀捷克畫家Ludek Marold. 儘管是90年代出品, 看起來卻古意盎然. Kc(克朗)是捷克貨幣單位, 和新台幣的幣值很接近. "PARIZANKA 1897" at the bottom right of the portrait seems to indicate the location painted is Paris ...and the date is only 1 year before the artist's death...a work in the late stage of his life...but anyway he only lived 33 yrs...huh. It's a small treasure that has a lot to tell. BT, est. over a century ago, knows how to make good money. It sets up high rate for communication(try it and you'll see! 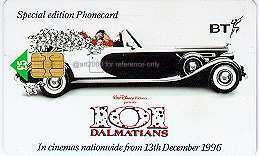 ), and its phone cards offer medium to companies such as Disney. Anyway, this card stands out with its fine graphic design & hit movie theme. As a special edition, it is certainly a treasure to keep. When was your last trip by train? 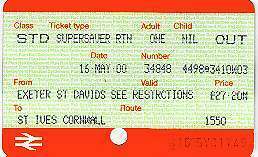 The train ticket, with stamped date, starting point & destination, is a perfect souvenir for one's trip. Travel by train gives a subtle, easy atmosphere somewhat "old-movie-like", which perticularly suits me--a man who always gives in to comfort even when backpacking. I like to find a seat with a table, get some tea & biscuits, write some post cards, when the landscape passes by like the river of my flickering memory. "Life should be wasted on nice things", as a quote occurs to me. London is undoubtedly the representative city of England. Hundreds of museums and historical sites keep reminding visitors of the British Empire's glory. And what could well represent The City of London? Here are images of some possible answers.